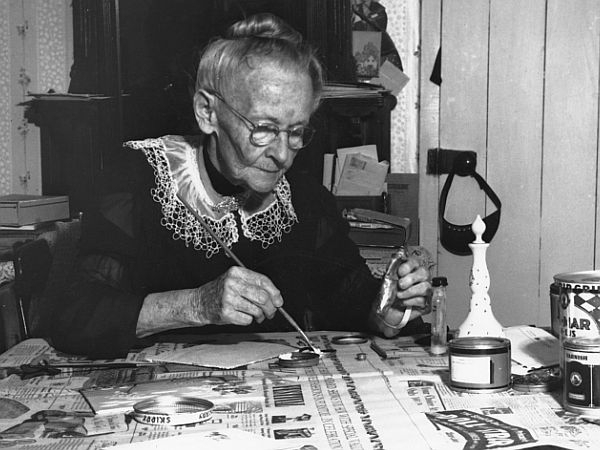 Anna Mary Robertson Moses, or Grandma Moses, was an icon of the primitive folk art school of painting. 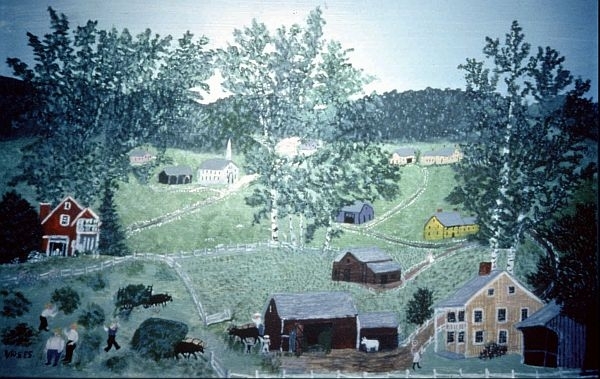 Her works drew on her time in upstate New York and Vermont and feature bucolic scenes of village and family life. But experts say there’s more to her work than meets the eye – from color to composition and perspective. This summer the Bennington Museum is presenting a significant exhibition of the artist’s work, in honor of her 150th birthday. 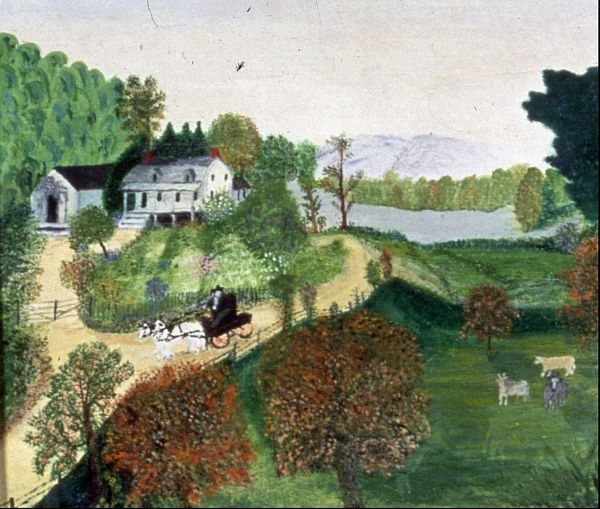 We talk with the museum’s curator of collections, Jamie Franklin, about Grandma Moses’ art, how her style transformed over three decades, and how she and her contemporaries are now viewed. Also in the program, how rattlesnakes continue to fascinate in Vermont. Candace Page of the Burlington Free Press explores the myths, biology and muddy field science that go into documenting Vermont’s only venomous snake. Bennington Museum curator, Jamie Franklin, talks with Vermont Edition about two new exhibits that highlight artists with disabilities. We look at the works of Grandma Moses, an icon of the primitive folk art school of painting and listen back to an archival recording of poet Grace Paley reading her Christmas story, "The Loudest Voice."